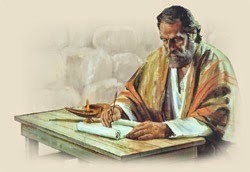 Among the most interesting texts in the Bible are the Old Testament verses which are quoted in the New Testament. The richness and full import of these passages can be best appreciated when one examines how they are used in the New Testament. It is especially interesting to note how the Lord Jesus, Who is the focus of so much of the text, would quote from and interpret particular verses. We find one such example in Matthew 22. In the passage, Jesus has only a few days left before His crucifixion and death, and He is fully aware of it. He had been teaching His apostles that this day was coming for some time now. After Jesus' triumphal entry into Jerusalem where His praises had been sung by men, women and children, the Jewish religious leaders were growing increasingly desperate to find a way to stop Jesus once and for all. 46 No one was able to answer Him at all, and from that day no one dared to question Him anymore. How indeed? How is it that King David would call Someone "Lord" when that Someone would only be born about 1,000 years later? 2 The Lord will extend Your mighty scepter from Zion. Rule over Your surrounding enemies. the dew of Your youth belongs to You. He will crush kings on the day of His anger. He will crush leaders over the entire world. therefore, He will lift up His head. 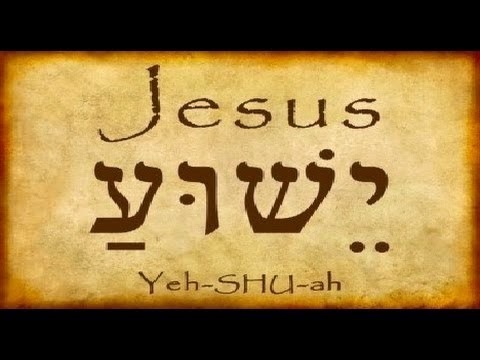 In Psalm 110:1 which reads, "This is the declaration of the Lord to my Lord," the Hebrew says, "YHWH said to Adonee." Now, Adonee means "lord" but does not necessarily denote deity or divinity. We must go to the context of the rest of the verse to see what is being communicated. "If Messiah is the son of David, why would David call Him lord?" 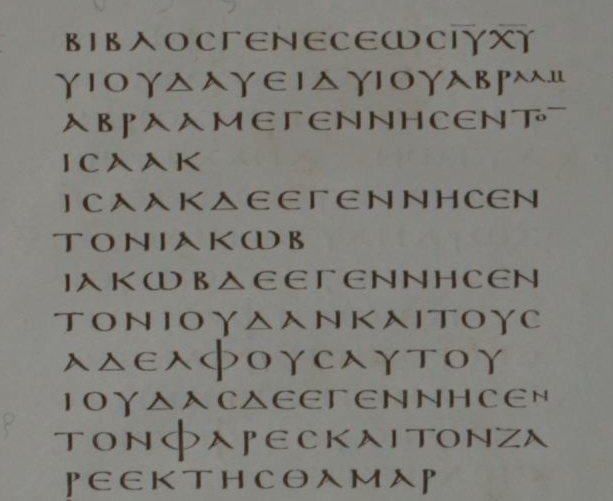 Note the first phrase of the verse. 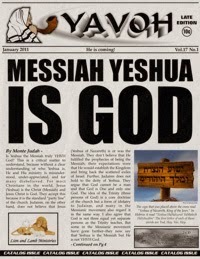 Messiah is the son of David, and therefore He is a man. And yet He is not just a man. The Jews hold David in very high esteem, and yet, in this passage, David declares that Messiah is someone much higher in rank and authority than himself. In the Kingdom of Israel, everyone served King David, and yet here is David calling Messiah his Lord, making himself the servant of the Messiah. 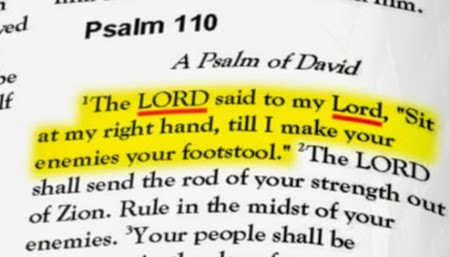 The fact that YHWH says to His Anointed (which is what the term "Messiah" means), "Sit at My right hand..." combined with the message of the rest of Psalm 110 further conveys the understanding that this is no mere man, as God shares His glory with no man. David served only one King, YHWH Himself, so this means that David was saying He served the King of all kings and the Lord of all lords: King Yeshua, Jesus the Christ, 100% Man and 100% God. This is why in Revelation 22:16, Jesus can say, "I am the Root and the Offspring of David." Yeshua created David and was therefore his Root, but He was also his Offspring, since Messiah descended from the line of David. as something to be used for His own advantage. taking on the likeness of men. The Messiah, The Son of God? How Many Messiahs Were the Jews Expecting? Who Said Messiah Would Go to the Cross? Who Will Judge All on the Last Day? Who is the God of the Book of Hebrews?